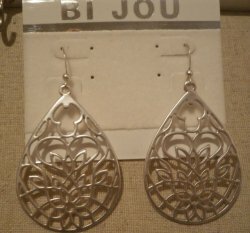 Matte gold lace earrings, they are 2.5 inches long. In new condition. 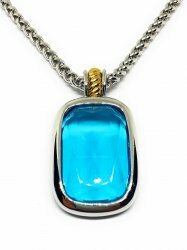 Necklace is 30 inches long, pendant is 2.25 inches long. In excellent like new condition. 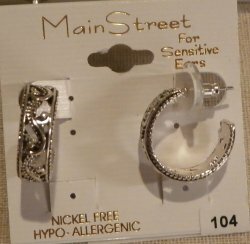 These are nickel free hypo-allergenic earrings for sensitive ears. 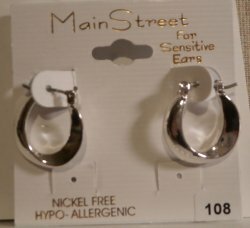 They are about 1/2 inches long. In new condition. 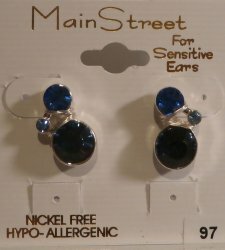 These are nickel free hypo-allergenic earrings for sensitive ears. They are about 1 1/4 inches long. In new condition. 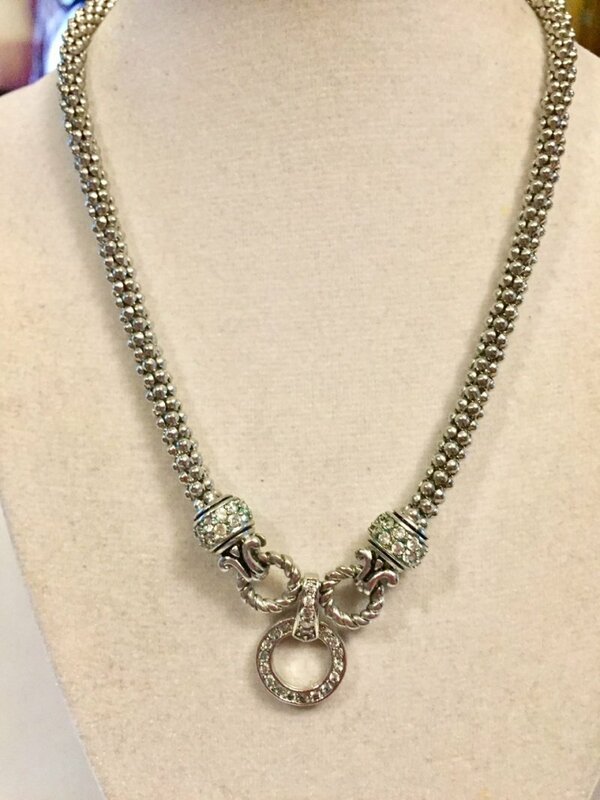 Silvertone with cut crystal accents, it is 20 inches long. In excellent condition. 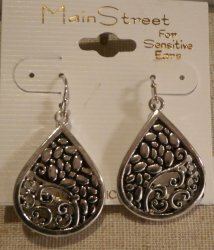 Matte silver lace earrings, they are 2.5 inches long. In new condition.